The name Canadian Kush may sound odd at first, but it really is precisely that. This is a 100% Indica plant bred by crossing a special Kush from Canada and a Purple Kush from California. Canadian Kush grows just as one would expect from an Indica - short and wide dark leafs on a bushy and strong plant. Yields about 500g/m² of THC-rich dense buds. The name Canadian Kush certainly sounds strange at first, but that's what she is - a crossing of a Purple Kush from California and a special Kush from Canada. 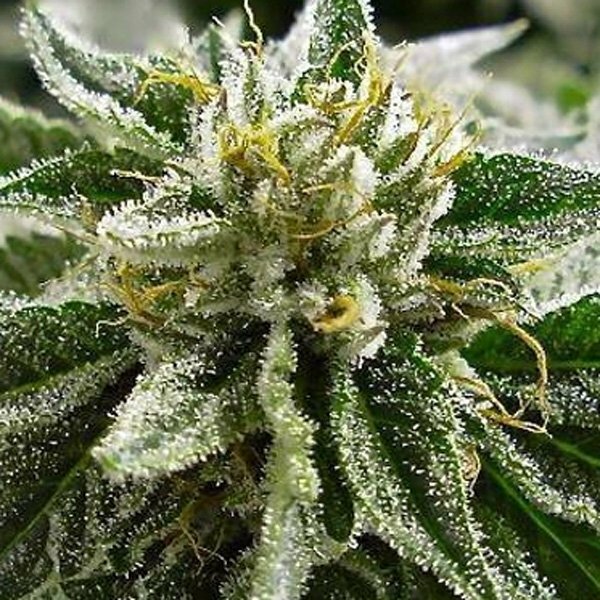 Canadian Kush grows just as you would expect it from a 100% Indica - she grows up to a strong and bushy plant with short and wide, dark leafs, taking on purple hues toward the end of the flowering period. Indoors you should give her 14-21 days of vegetative growth to fully develop before sending her into flowering. 60-65 later she will be dressed in thick and compact buds full of sticky resin. An indoor yield can amount to up to 500g/m². Reared outdoors Canadian Kush will be ready for harvesting by early October, with plants reaching a height of 2-2.5 meters and yielding in the range of 700-800 grams. During flowering the plants exude a delicious piney scent. 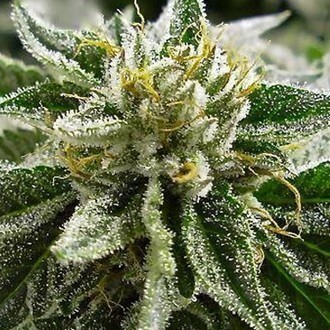 The properly cured weed of Canadian Kush is very rich in THC and has an earthy flavor with hints of grape. To maximize her aroma and flavor it is recommended to grow her on organic soil. The effects of the smoked buds are very strong; the onset is characterized by an euphoric state of mind, but soon the sensation becomes rather narcotic. This stuff is a very good agent to battle depression and insomnia and is a great help for pain relief.